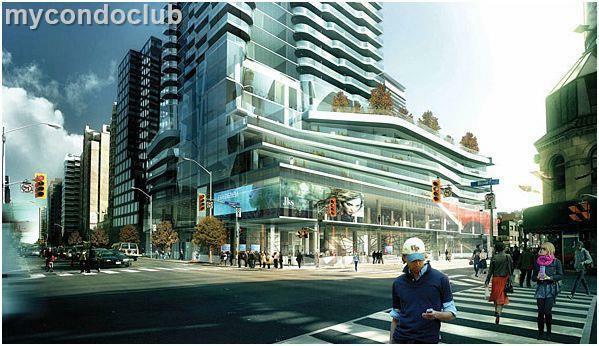 Number One Bloor East is a new condo development by Great Gulf. Number One Bloor is located at 1 Bloor East, Toronto. Be prepared to live at the prestigious address – One Bloor. One Bloor East Condos is at Yonge & Bloor, where all the luxurious shopping with brand name retails are. Holt Renfrew, Cineplex, GoodLife Fitness are very closeby. Enjoy the high end eateries such as Sassafraz where celebrities frequent, Yamato, Paramount, Pusateri’s and more. Yorkville is within close proximity with all the boutiques and cafes. Yonge & Bloor is station is just across from the Number One Bloor Condominiums. Nearby parks include Village of Yorkville Park and George Hislop Park. 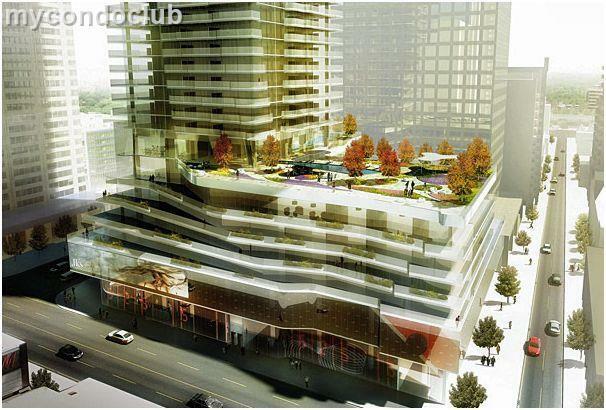 The exterior design of the Number One Bloor Condo building is eye-catching. The wavy details along with glass exteriors is spectacular. University of Toronto and Rotman School of Management is in the area. Rents in the area are high compared to the ones in downtown core area due to it’s convenient location and nearby upscale amenities. Not to mention the amenities is also top notch including fitness, pool, lounges, terrace and more. Balance of 2.5% in 30 days.